Football legend Johann Cruyff has died of cancer aged 68. Cruyff was a three-time world player of the year in the 1970s, and played in a World Cup final for Holland in 1974. He also had a successful spell as manager of Barcelona. Barcelona and Ajax, two teams where Cruyff spent most of his career, have already sent their condolences via twitter accounts. 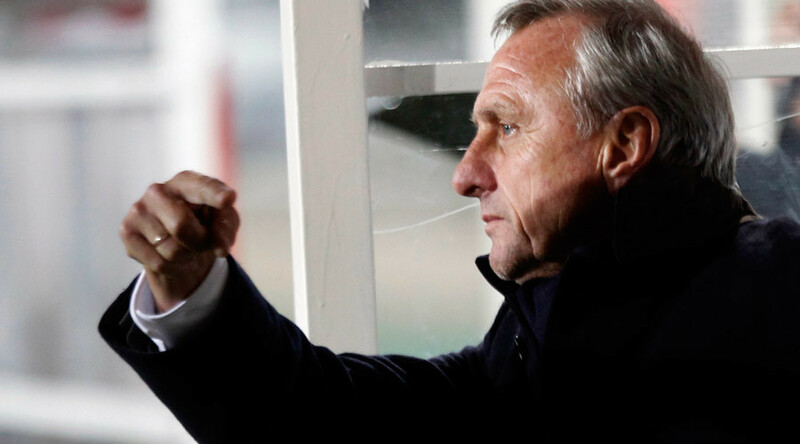 NEWS | Johan #Cruijff has passed away today at age 68. He won 10 league titles with Feyenoord, Ajax and Barcelona and also helped the Dutch national team reach the 1974 World Cup Final, where they were beaten 2-1 by West Germany. In 48 international appearances he scored 33 goals. Cruyff famously showcased the 'Cruyff turn' at the 1974 World Cup in a match for the Netherlands against Sweden. He enjoyed success as a manager with Ajax, leading the team to two Dutch Cups and a UEFA Cup Winners’ Cup in three years before taking over at Barcelona in 1988. From 1989 to 1994, the Cruyff-led 'Dream Team' won four league titles, three Super Cups, a European Cup and a Copa Del Ray title. He underwent double heart bypass surgery in 1991 and was diagnosed with cancer in October 2015. Johan Cruyff: A revolutionary player. Best ever Dutch player. The talisman of one of the best teams ever: Holland 74. Total football. Cruyff was voted European Player of the Century in an election held by the International Federation of Football History & Statistics, and finished second behind Brazilian legend Pele in its World Player of the Century poll. Ex-England boss Glenn Hoddle said Cruyff’s death meant “a sad loss to the football world,” while German legend Franz Beckenbauer said he was “shocked” at the news.